W2P from P to Z. A round up of W2P solutions..
Digital print technologies offer the ability for shorter production runs and variable data offerings. However, to be profitable, efficiency is critical with multiple short runs. Web to print (W2P) is one tool print shops can utilize to streamline the ordering process. In part one of this two part series, we provided product highlights of W2P solutions from providers falling alphabetically between A and O. Here, we finish the alphabet with product information for more W2P offerings. PageDNA offers a hosted solution with datacenters active in Australia, Europe, and the U.S. The company says it guarantees a 99.9 percent or higher uptime and utilizes Amazon’s cloud infrastructure for central processing unit and disk needs. It works primarily with in plants in education and larger corporate settings, commercial printers with annual sales above about $3 million, and with print and promotional products distributors of all sizes. The platform features job ticketing, online order management, inventory control, kitting, and mail merge applications. Features include online job pricing that provides end users with live quotes for digital, wide format, and offset jobs. They are compatible with multiple management information systems (MIS) using standardized integrations that use published application APIs. Pageflex Storefront provides customizable, built-in functionality to each client’s needs. The solution creates specific workflows for user management, ordering, approvals, and payment. Customers use open API to modify the storefront, as well as integrate it into other solutions. Pageflex’s PageWay iWay brings together Web-based ordering, prepress, production, and delivery. It also automates these processes for print providers. iWay helps streamline the production process and offers new services to customers. PressWise is an all-in-one W2P, MIS, and workflow automation platform. It includes unlimited Web storefronts, estimating, order management, production automation, shipping and fulfillment, and direct mail processing functionality. PressWise is W2P as well as Web-to-Ship, and an end-to-end platform that processes print orders from the point of entry to the fulfillment of that order with as few touches as possible. Orders flow through PressWise whether they were manually entered in a shop, converted from a quote, ordered through a PressWise Web storefront, or entered by a third-party Web storefront package that integrates with the solution. PressWise customers are a mixture of small- to medium-size commercial printers and in-plant print operations. The company says digital printing is often a general focus of a PressWise shop. PrintUI offers the EasyPrintUI W2P system, which provides same-day set up, up to 500 client templates, multi-client support, and email notifications. Additionally, PrintUIPro privdes full website integration and control over workflow and where the company’s application appears on an individual’s site. Propago provides a W2P engine, customization tools, and brand compliance controls for companies looking to streamline marketing operations. With Propago, clients control the settings and permissions regarding which materials users can access, how and what content can be customized, and whether approval is required on the final piece before it is submitted to production. User profiles and pre-approved templates allow users to personalize creatively in seconds. Propago automatically populates materials using the user’s information so they don’t have to key anything in. Propago is a business to business (B2B) solution that primarily targets commercial printers looking to become marketing solution providers. Marcom Central is an out-of-the-box W2P solution that offers flexibility and can be modified for businesses of all sizes, branching out to a spectrum of clients in almost any industry. Marcom Central is a cloud-based solution featuring customizable site appearance, integrated template design, multiple output formats, secure hosting, data, and payment processing. It also supports 33 different languages and a variety of integrations. RedTie offers a comprehensive, scalable W2P system that allows for unlimited storefronts, users, and products all for a monthly fee. It is a Software as a Service model with no upfront costs. Two products work hand in hand—RTT, which is for templated products; and RTT+, which is an online price calculator that allows end users to find a price and upload their file in real time, no matter the format it was produced in. Rochester Software Associates (RSA)’s WebCRD is W2P plus production workflow, designed specifically for in plants. WebCRD automates Web ordering, job ticketing, production management, chargebacks, and reporting across corporate print centers. It enables in plants to increase efficiency and reduce costs through automation with a highly configurable, secure, and scalable solution that meets demanding corporate requirements. According to RSA, WebCRD is designed for in-plant environments and offers open architecture for advanced integrations without the need for custom development. WebCRD is more than just a storefront for online submission. The software offers production and numerous modules, true multi-site and print MIS capabilities, production auditing, and reporting. Configurable production rules can automate many tasks from order entry through delivery. WebCRD continually adds features and functionality based on customer and market needs. 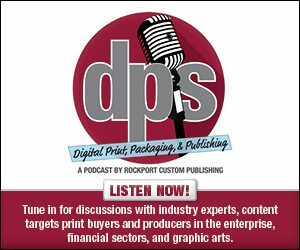 Rocketprint Software offers a variety of Web-based solutions for the print industry, including Rocketquotes, a complete e-commerce storefront that handles all transactions with customers. The solution includes instant online quotes, inventory management, and print on demand. It is designed to seamlessly integrate into existing websites. Rocketquotes also offers its B2B and business to consumer (B2C) tools. B2B features security functions and allows the creation of an unlimited number of private customer portals personally customized for each individual. B2C offers a complete online storefront for any type of printing, such as wide format. Rocketworkflow offers the integration needed to track, manage, and prioritize all jobs in a shop. It grants employees complete visibility to all in-process orders and is a standard feature to Rocketquotes. Quickquotes is included with the Rocketprint storefront. It utilizes product pricing to generate internal quotes for customers. Tukaiz provides its Backstage solution as its proprietary online marketing management system. Backstage provides brands with the ability to manage both digital and traditional marketing efforts for national and local campaigns. In addition, the system allows for modular growth and flexibility to quickly provide users with new features and functionality such as asset management. The company says Backstage is a flexible, scalable, and customizable to each client’s needs and business rules on top of its robust set of core functionalities. W2Psoftware.com is a W2P storefront program. It affords any size printer the ability to enter the technology of dedicated customer ordering sites without the high entry costs. W2Psoftware.com was created with the Printable Fusion Pro Server platform. Due to the low monthly fee, the company says print providers won’t feel forced to take their eye off the primary business of print production to make the W2P investment an economical reality. W2P software.com offers online training videos and one-on-one product training. There are no annual contracts and the printer or agency can add as many customers at they desire for the same monthly fee. XMPie StoreFlow is a complete W2P solution with a rich set of features and capabilities. StoreFlow is built on top of the XMPie uProduce platform, which includes powerful document personalization, management, and production capabilities. Its robust composition engine enables customers to offer a range of products from static documents to sophisticated variable data print. Storeflow automates the entire process from order acquisition and prepress to production and fulfillment, creating a truly hands-free, lights-out automated workflow. StoreFlow handles user management, product management, order management, built-in credit card processing through payment gateways, and real-time shipping by integrated shipping partners. With StoreFlow Pro, the Adobe InDesign Server is added to the configuration to provide creative flexibility and support an end-to-end InDesign workflow. StoreFlow Pro’s processing power handles highly active storefronts as well as operations with larger production volumes. StoreFlow Cloud, released in July of 2015, is a subscription-based solution for creating W2P portals. The company says that with little or no IT investment required, StoreFlow Cloud lowers the barriers to entry for practicing W2P, making it easier for print providers and enterprises to embrace it as a business offering. YEMO Printspace is a Web-based business management software for printers. It comes with two solution components—software to manage the commercial process of a printing operation and a website to provide customers with an easy platform to submit and order print jobs. The workflow guides an order through various production stages along with incorporating additional elements like invoicing, preflighting, client management, and print job management. The product targets commercial and digital printing houses, print agencies, and advertising agencies. Although there are many W2P solutions to choose from, print providers must be diligent in understanding current and future requirements before selecting and implementing a W2P solution. Since each print business is unique, it is essential that print providers research a variety of W2P systems to find which best fits with the business. Click here to read part one of this series.